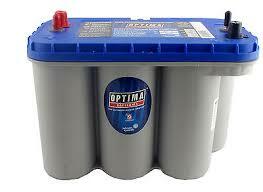 Optima Batteries are in Stock and Available at Affordable Prices! Optima AGM Batteries are Vibration Resistant, Liquid Free and Longer Lasting than Traditional Flooded Lead Acid Batteries. 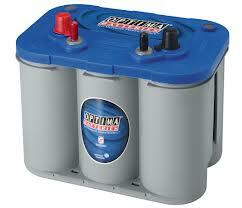 Constant performance quality keeps your battery running at the same level even as it’s being discharged. 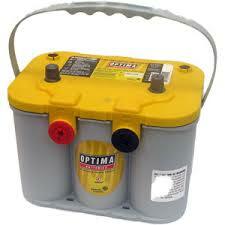 With high cranking power, the AGM Optima Red Top is vibration resistant and designed for engine starting. 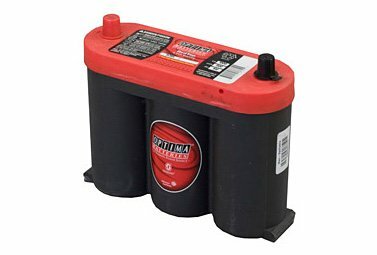 Spillproof starting battery- The REDTOP® high-performance AGM battery is the ultimate starting battery designed to deliver a powerful burst of ignition power for a reliable start-up every time, whether it’s used as a truck battery, automotive battery, or for other applications. 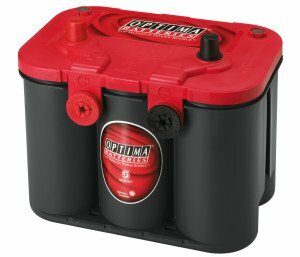 Vibration resistant and spillproof- OPTIMA® BLUETOP® high-performance AGM battery in your boat or RV means exceptional running time and more recharges than you’d get out of a traditional battery. current drops below 1 amp.